The FF3i is Phoenix Scales Technologies’ three idler belt scale. This conveyor belt scale is the bechmark model in our complete line of conveyor belt scales. The FF3i has been operating for over fifteen years in some of the harshest environments and has proven itself to be dependable. approved applications. The full floating weigh bridge is constructed of 1/2″x4″ solid steel to avoid any deflection during weighing. The robust design allows it to be used on high TPH applications. With no pivot points to bind and wear, the FF3i will give years of quality service. This one peace three idler scale design is not a group of our single idler scales in stalled together to look a three idler. The Phoenix under belt speed sensor is a positive contact design with the electronics in a NEMA 4 enclosure. The Phoenix speed sensor can be mounted as close as sixteen feet from the scale and contacts the underside of the load belt to give true representation of actual belt speed. The Phoenix Legend III belt scale integrator completes the precisely accurate weighing system. The Legend III is a micro processor based unit with practically unlimited options for any special application you might have. 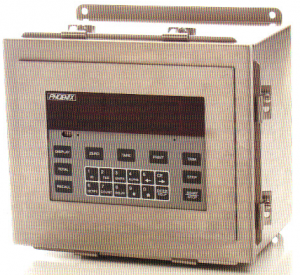 This intricate electronic unit is housed in a NEMA 4x stainless steel enclosure to withstand the harshest environments.